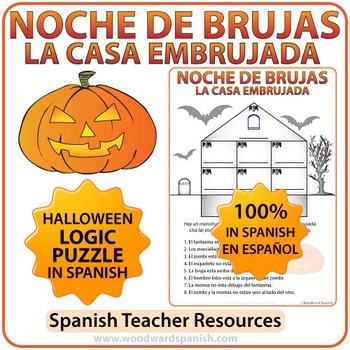 A Logic Puzzle about a Haunted House in Spanish. There is a haunted house with 8 different rooms. 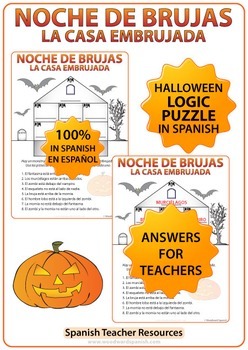 Using the clues in Spanish students need to discover which Halloween monster or creature is in each room. Prepositions of place are used to say where each monster is in relation to the others. This quiz is completely in Spanish without any English on the worksheet. There is an answer sheet where students can check their own work.